In his capacity as Chairman of the Committee of Ministers of the Council of Europe, Didier Reynders visited both Armenia and Azerbaijan this week, with a focus on their ongoing conflict in Nagorno-Karabakh. 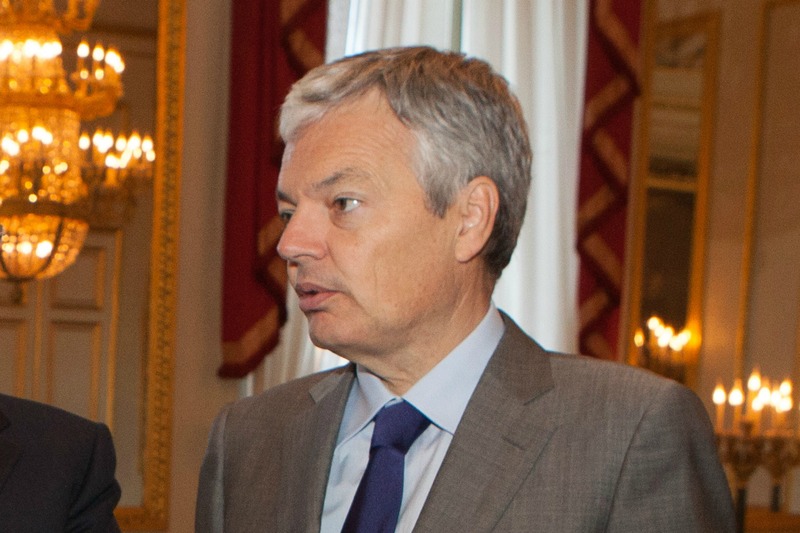 Reynders, who otherwise serves as Deputy Prime Minister and Minister for Foreign Affairs of Belgium, led a delegation of 60 businessmen to the two countries. Speaking in Baku on 28 April, Reynders said he was concerned about recent violence in Nagorno-Karabkah (see background). “We have discussed the situation with the neighboring country, Armenia, and the occupation of Nagorno-Karabakh, because we are concerned about the incidents on the frontline,” said the minister. “We will be glad to see certain progress in negotiations with the two neighboring countries. Of course, the settlement of the conflict by military means is unacceptable, the problem should be solved within the framework of the OSCE Minsk Group,” Reynders added, according to the local press. The Minsk Group spearheads the OSCE’s efforts to find a peaceful solution to the Nagorno-Karabakh conflict. It is co-chaired by France, the Russian Federation, and the United States. Reynders visited the Alley of Martyrs in Baku and paid tribute to the 126 victims, killed by the Red Army in January 1990, when the Soviet authorities deployed its forces, under the pretext of “preventing ethnic violence”. Mikhail Gorbachev, who was the the USSR’s leader at that time, offered excuses to Azerbaijan in 1995, saying that this move had been “the biggest mistake” of his political career. Reynders is reported to have been impressed by the situation of the displaced persons in the country. The occupation by Armenia of Azeri territory, and the tensions between the two neighbours, created a million refugees and internally displaced persons (IDPs). “We adhere to the position of settlement of the Nagorno-Karabakh conflict within the territorial integrity of the country,” Reynders reportedly said. In Baku, Reynders also discussed bilateral cooperation and democratic values. He said that the energy sector is one of the priorities of Belgium in bilateral relations with Azerbaijan. In Yerevan, official statements made it clear that ministerial level contacts in Paris were preparing another opportunity for the leaders of Azerbaijan and Armenia to meet over Nagorno-Karabakh. Their last talks were held last October, also in Paris. In Armenia, Reynders said that Belgium would continue to work for the normalisation of relations between Yerevan, and Baku and Ankara. Armenia and Turkey have no diplomatic relations due to their differences over the events in 1915, which the European Parliament and several EU countries now call a “genocide”. In Armenia, Reynders visited the Tsitsernakaberd Memorial Complex to pay tribute at the memory of the victims. Nagorno-Karabakh is one of the so-called frozen conflicts in the post-Soviet space. It is a landlocked region in the Southern Caucasus, de jure on the territory of Azerbaijan, but de facto governed by the Armenian-backed breakaway government of the Nagorno-Karabakh Republic.